British team Sigma Sport-Specialized has bolstered its line-up for the 2011 season by signing Steve Lampier (Pendragon-Le Col-Colnago) and Russell Hampton. 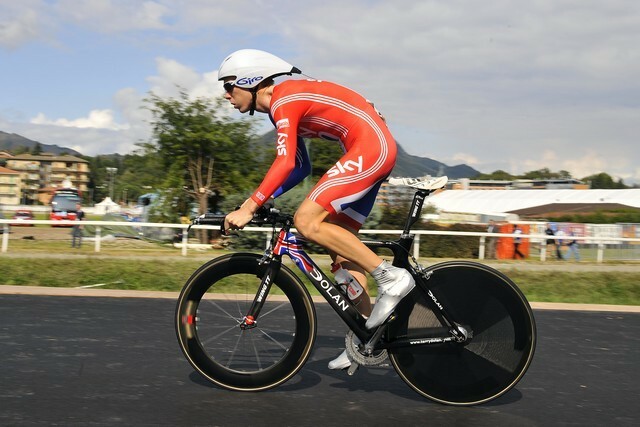 Meanwhile, 22 year old Hampton was British junior road race champion in 2006 and spent time on the GB Academy development programme, winning a track World Cup points race in Los Angeles. However, he ultimately failed to sparkle, left in mid-2009 and has taken the past year out due to personal problems. His comeback began this autumn, already seeing Hampton win the Maldon & District CC road race last weekend. Meanwhile Gareth Montgomerie is leaving the team, and Phil Sykes will make the step up from regional level. Sigma Sport’s aim for next year is to win the Premier Calendar with Simon Richardson. “He’s our marquee rider, and it was important that we kept him. Simon had several offers, but he chose to stay with us, which reflects well on our management, the balanced programme we can offer him and the team,” Stephens said. Essex-based squad Orbea-ForGoodnessShakes! are also strengthening for 2011, adding Robin Sharman (Basso Bikes), Raleigh youngster Mike Cuming and ex-pro Rafael Rodriguez to their roster. ”We couldn’t be more pleased. The signings underline the team’s ambition for the future,” said team manager James Whatling. “To sign Rob Sharman is a real coup because not only is he a proven winner, he’s also a fine team player who is passionate about the sport and developing young talent. Mike Cuming is a young rider who has a massive amount of potential,” he added. Sharman won the Premier Calendar in 2005, and has also claimed victories in the Girvan and Rutland-Melton Cicle Classic. Meanwhile, 29 year old Rodriguez rode several races for the team in the summer. He raced for Spanish pro team Contentpolis in 2008, notably finishing third on a stage of the Tour of Portugal. Rapha-Condor-Sharp have signed James McCallum from Endura for 2011. ”In my opinion, he’s going to fit in very well with the Rapha-Condor-Sharp way of doing things. I think he’s a rider that hasn’t achieved his full potential, even in this late stage of his career,” said team manager John Herety. Pendragon-Le Col-Colnago rider Kieran Frend will be racing for French DN2 squad UC Aubenas next year. The club has been popular with British and Irish riders in recent years, with Jonathan Rosenbrier, Adam Biggs, Tom Martin, Dominic Jelfs and Frend’s current teammate Chris Opie all enjoying stints in the Ardeche town. Aubenas is also a happy hunting ground for another Brit: Mark Cavendish. The HTC-Columbia star won stage nineteen of the 2009 Tour there.